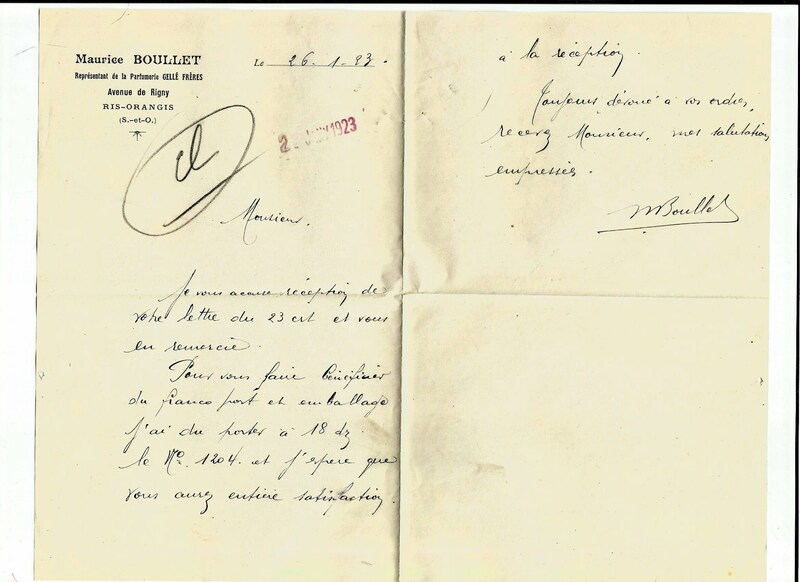 Antique 1923 Gelle Freres Maurice Boullet Signature Parfums Perfume Merchandise Envelope Letter Ancien Lettre Parfumerie Ephemera. This is an old letter and envelope from the Gelle Frères perfume company of Paris France. The date is 1923. 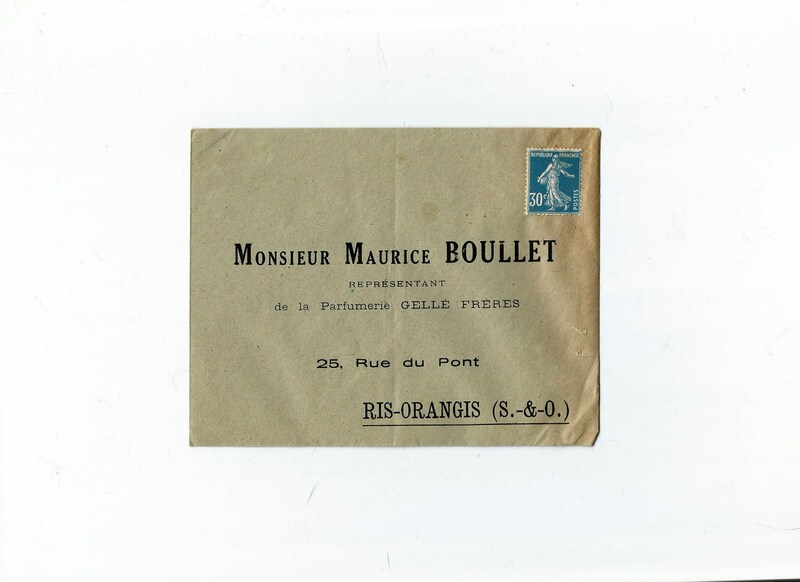 Has signature and envelope for Maurice Boullet, representative for Gelle Freres. Nice blue 30 centimes French postal stamp on envelope. This would be a great addition to your perfume ephemera or use it in crafting or scrapbooking. The condition is good, please note that the paper is old, age tones, thin and may show signs of dog ears, folds, or wear along edges.